With hectic lifestyle and erratic work schedules, there is hardly any time left for skin care. But hey!! Don’t forget the night time. Yes, at night before you go to sleep, you can pamper your skin, so the next day when you wake up your skin is ready to glitter. Especially those possessing oily skin find it difficult to deal with their skin and often become victims of pimple, acne and greasy looking skin. But now they can also flaunt a healthy and beautiful skin by using face masks made from Olive oil. Olive oil is an excellent when consumed in food and even when used for external purposes in making creams and packs. Don’t spend on expensive night creams available in market and make a hole in your pockets instead make them at home and enjoy its true essence. Try these simple and easy ways of making a night cream. This mixture will work as a natural skin toner and keep your skin hydrated. It will also reduce age highlighting wrinkles from your face gradually. In order to make this wonderful cream you have to take one apple and remove its stem and blend it with half a cup of olive oil. Then heat the mixture on a light flame for 10 seconds so that it becomes evenly mixed. Now let it freeze in refrigerator to get a thick consistency. Add 2 spoons of rose water and your wonder cream is ready. Apply on your skin every night and wake up with magical skin. This is an excellent cream to rejuvenate your skin after whole day of exposure to sun, dust and pollution. The benefits of avocado for skin are well known and when you keep it applied whole night it can make your skin glow and look fresh. 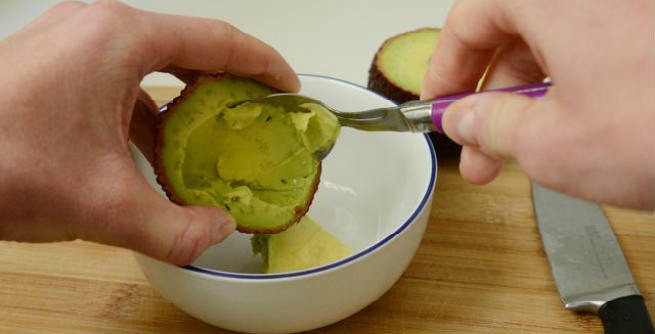 Take one avocado and cut in into small pieces. Now crush it along with two spoons of olive oil. Let the mixture be of semi-liquid consistency. Apply on your face and neck with a gentle massage so as to penetrate deep. If your skin gets over exposed to sun the whole day and in the night it feels like tanned and burnt, then this cream shall definitely work best on your skin. All you have to do is boil tea in plain water. After a while drain the tea keeping only the water component. Now mix black tea water and olive oil. Apply on your face evenly and find stunning results the other day. You will get your normal skin back. This is a fantastic cream for oily skin and can help make the skin soft, supple and non-greasy. You will need vinegar and white wax apart from olive oil to make this useful cream. You will have to boil 1 cup olive oil and 3 spoons of white wax until both blend and become smooth. Then make a mixture of half cup of vinegar with same quantity of water. Now mix both the mixtures together and let it cool in fridge. It can be saved for later use also. These were some amazing ideas to rejuvenate a dull and oily skin into a mesmerising and glossy one. Try and get amazed with the results.